HELP!!!! WE NEED COMMITTED FOSTERS TO HELP SAVE MORE LIVES ESPECIALLY FOR ADULT DOGS!! If your interested in fostering, please click on the applications and complete the foster application. Angels on Wheels Animal Rescue is a no-kill, foster-based adoption organization located in the SW suburbs of Chicago dedicated to the care and adoption of homeless pets. We are a 501c3, non for profit animal rescue. We are composed of a group of animal loving volunteers saving animals from death row and giving them a second chance at life. The founder lives in Naperville, Illinois, but our fosters are located all over the Chicago Suburbs. Angels on Wheels Animal Rescue was founded in 2009 by Susan Pratl. We mainly rescue from high intake shelters. We do not have a physical building for you to come and meet the animals. All of our rescued animals are cared for in “foster homes”. Foster home means families open their home to an animal in need and care for the animals until they find a forever home. We do not euthanize for health unless it is advised by the vet due to quality of life and the issue that is beyond what our vets can do. We do not euthanize for space, and our animals have as much time as they need until a family adopts them. There is no time limit for any animal’s stay with us. Our foster homes are located all over the Chicagoland, but primarily in the SW suburbs of Chicago. Because our animals are cared for in people’s homes we do require an adoption application prior to making an appointment for a meet and greet and visiting so that we can learn more about you. We are committed to finding the right home, and taking the time to carefully match the needs and the personalities of both people and adopted animals. If your interested in meeting any of our animals, please can click on the “applications’ to complete the on-line adoption application. You can can also check out our facebook page. We post many of our animals on facebook even before we put them on our website and petfinder. FOSTERS HOMES ARE DESPERATELY NEEDED TO SAVE MORE ANIMALS. We can only save an animal with a foster home. Please consider opening your heart and your home to an animal in need. We pay for all of the medical, provide food, crate, x-pen, toys and bones. If your considering fostering, please fill out a foster application which is located under the “applications” tab. Angels On Wheels is a Non-Profit-EIN 27-0727370, Illinois State Licensed-#13826, Dog and Cat Rescue, and we have been granted our 501(c)(3) Tax Exempt Status which means we are exempt from taxation under Section 501 (c)(3) of the Internal Revenue Service Code. Your gift and adoption donation is tax deductible to the extent allowed by law. Monetary Donations are always accepted, and very much appreciated! Without donations from caring people, we couldn’t do what we do. We rescue many of the very young especially kittens an puppies which most of the times requires formula, bottles, canned food, special care and medication along with other health issues. The cute healthy puppies you see us post for adoption is after many weeks of of our foster homes caring for these animals. Some are very expensive and without donations, we couldn’t continue our mission of saving these precious animals. If you’d like to donate, please click on the donate button.You can either donate by clicking the donate button, by calling our vets office at 815-744-3540 and making a donation directly to them or mailing a check to Angels On Wheels Animal Rescue, P.O. Box 9170, Naperville, IL 60567. Thank you so much! Doing your shopping on amazon? Be sure to shop through amazon smiles and choose Angels On Wheels Animal Rescue as your charity and .5% of proceeds will be donated back to us. Click on the link below to get started. 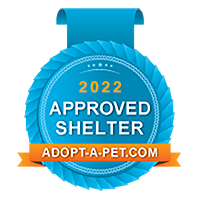 ATTENTION MILITARY PERSONNEL….We are VERY, VERY PROUD to announce that Angels On Wheels Animal Rescue has been approved to partner with Pets for Patriots. http://www.petsforpatriots.org/. Certain adoptable animals through Angels on Wheels if adopted through a current or discharged military person and his/her family, you will receive specific benefits through Pets For Patriots…click on the above link for more details. The animals that qualify are any animal over the age of two, over 40 pounds, or any animal that might have a medical condition such as an allergy for example or special needs. You will also receive $25.00 of any adoption through us. Shelter animals are very affectionate, forgiving, loyal companions just crying for someone to hold and love them. Please join us in the fight to save their lives by getting more and more of these babies adopted and fewer put to sleep! You can help by encouraging people to spay and neuter their pets, and to ADOPT and not shop at a pet store! There is only one Happiness in Life…To Love and Be Loved!